The ability to host a group is a trait that many Americans look for in a house. 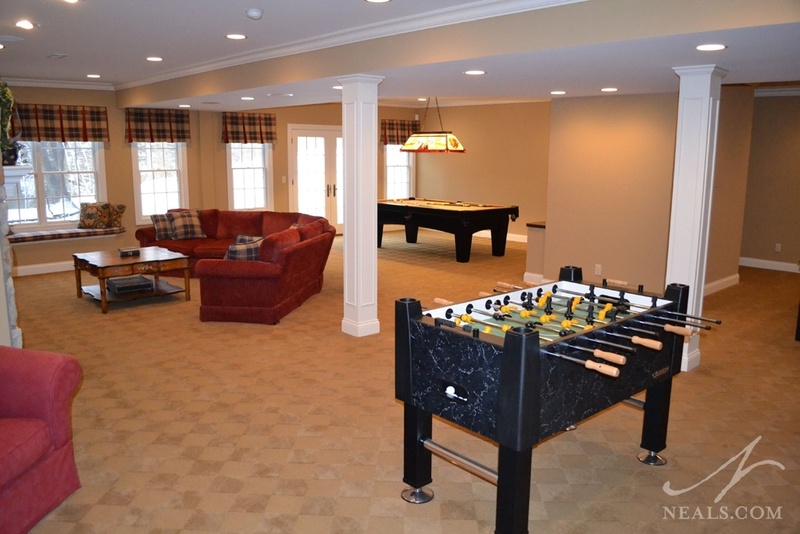 Having family and friends over for gatherings large or small plays an important role in the dynamic of many families, so it makes sense to ensure that remodeling projects in your home account for the need to accommodate the types of parties you like to hold. 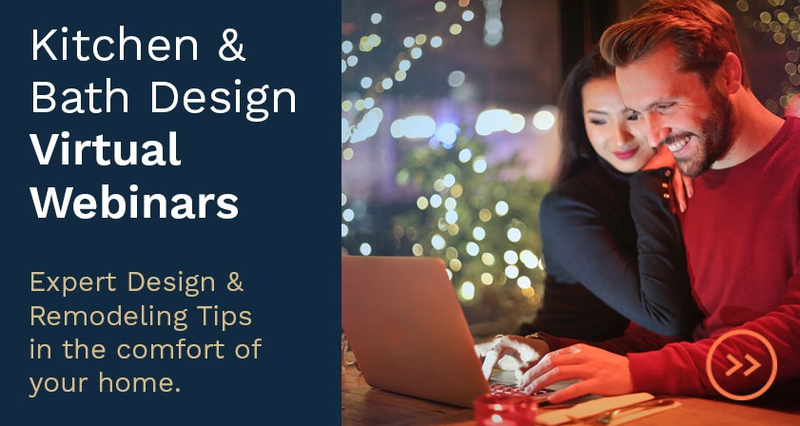 More than just knowing where to put your furniture, or making sure you have a stocked fridge, truly functional entertaining spaces that help to create traditions in the home start in the design and planning process. An open floor plan connecting the home's gathering spaces is key to a successful entertaining space. When you begin to plan out the changes to your home, take into consideration the spaces you already have and create a pro/con list to assess that room, zone or area. This is a simple way to identify your primary needs, and help you see what might be working as-is. Think about the types of gatherings you wish to have in your home. Is it mostly good friends, acquaintances, or close family? How often do you play host, and when? Parties in the summer are quite different from those around the winter holidays. Look for ways to combine eating and congregating spaces, so that your guests don't separate out into zones and stay there the entire time. A party-friendly home encourages both flow and communication. Space from a formal dining room was incorporated in a long, open kitchen were a quiet seating area encourages congregation without being in the cook's way. 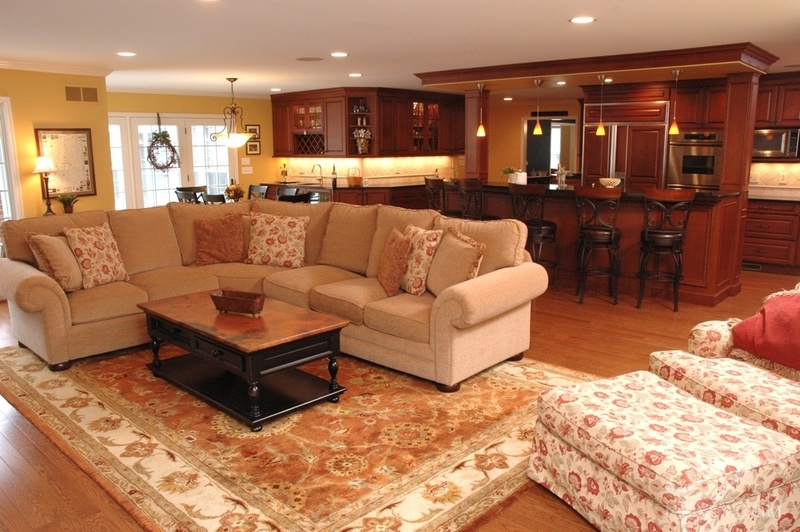 Perhaps the easiest way to achieve a party-friendly space is to open up the main floor or primary rooms of your home. Assess the barriers between the spaces people naturally congregate (the living room or kitchen) and the places you want them to feel welcome as well (the dining room or sunroom). The relationship between the kitchen and its surrounding rooms in particular is the bedrock of a functional entertaining space. 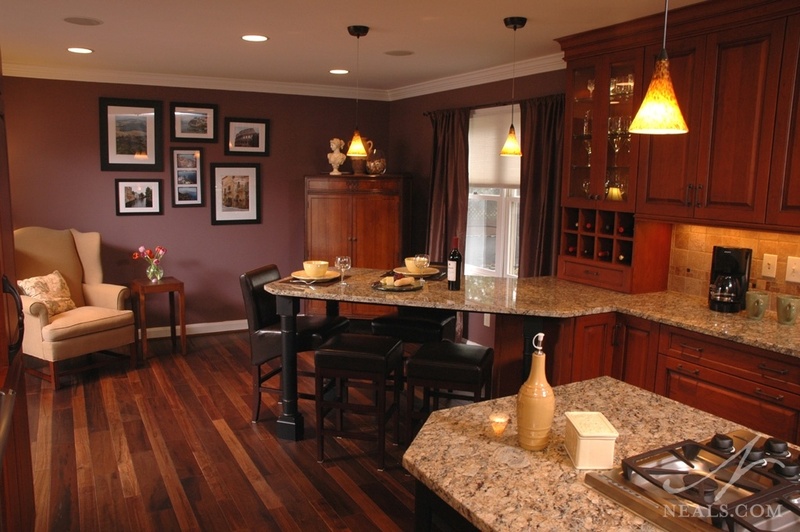 Wide floor space in the kitchen, and options for seating that don't inhibit the host's workspace are essential. Window seats, islands with stools, even small sitting areas with comfortable chairs encourage gathering. Look for ways to open walls or widen doors to get views into other areas where children may gather when you are entertaining to keep them in eyesight but not underfoot. This open-concept floorplan is perfect for parties, while the home's private spaces are concealed in the hallways beyond. While opening things up is the best course of action for entertaining spaces, be sure to assess your family's individual needs for privacy, or for how comfortable the home will feel when no guests are over. Consider pocket doors to rooms that are generally cozier, and talk with your family about what rooms, if any, are off-limits when guests are over. Additionally, spaces you use for storage or utilities, like a mudroom, should be able to be closed off or, at the very least, not in direct view of the main gathering spaces. This lower level walkout was kept open to provide ample floor space in and around the separate zones. If you prefer to keep the main floor of your home less open, take a look at the spaces available in your home. In most homes, that will probably be the basement. Lower Levels are ideal as party spaces because they aren't typically needed for main living space (though that can vary widely from family to family, house to house.) If you think a lower level remodel is ideal for creating entertainment space in your home, explore your options of an open space with zones for the activities you'd like to do with your guests. 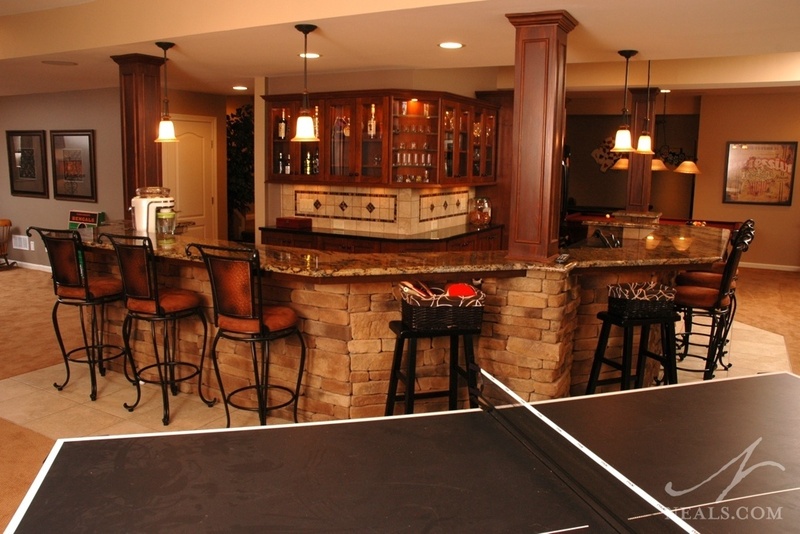 A home bar with plenty of seating is a classic solution for basement entertaining. Include lots of comfortable seating, and don't overlook how the basement is lit to ensure you create the right mood for your guests. This basement remodel is designed as a large loop, connecting the different spaces together and encouraging flow. It's a good idea to take time in the design process to check the ways people can get into and out of your home in case of emergency. If you have 50 people in your open concept kitchen, and a fire starts on your stove, you don't want that whole group to have to rush through a single door to get to safety. Similarly, take a look at where your guests will likely enter, and be sure that the personal or private spaces you have aren't in those areas. Remember that interior space will only be able to hold so much, even people. Look for ways for people to move into other areas, or even outside in case claustrophobia kicks in. No matter how good your hor d'oeuvres are, people are more likely to remember whether they were uncomfortable or crowded the last time they were over. 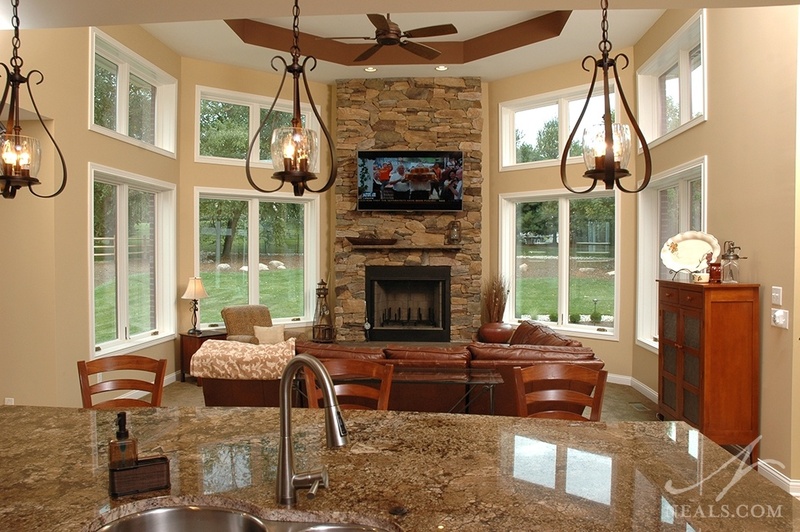 For more entertainment space ideas follow us on Pinterest and Houzz.